One of the great benefits of writing a blog about women’s cycling is that I get to meet (at least by phone and email) some great female cyclists who are completely dedicated to the sport and reaching their potential. The new website is a collaboration between Eliza and Jo and reflects their common interest in health and wellbeing and Jo’s love of cycling. The content on the website is quite extensive and from my own experience I know it would have taken many hours of work. Jo says that the website is the first step in establishing her ‘Healthy Cyclist’ brand which she later hopes to extend to working with organisations as a ‘wellness ambassador’ to help them encourage staff to be more active, whether it be cycling or another form of activity. 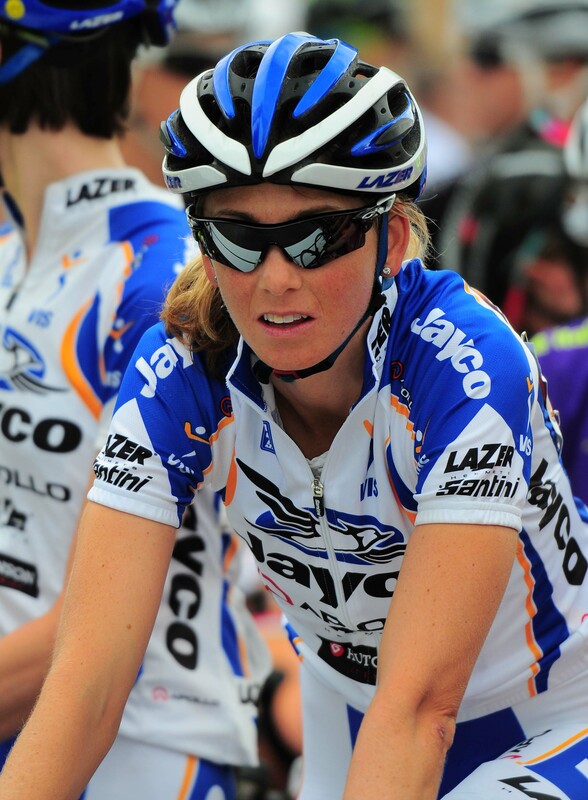 As a pro cyclist, Jo is a member of both the Victorian Institute of Sport (VIS) Women’s Cycling Team and Bizkaia-Durango (UCI Women’s Spanish Team). She actually heads off to Spain in late February and will be there for seven months, racing UCI professional events and she also hopes to race in some national team races in Europe. While she’s in Spain she will be completely self-funded which means she receives no salary, just some small subsidies and race fees. Jo’s achievements in 2013 so far have included a silver in the Australian National Road Championships, gold in the Victorian Road Championships and stage win in the Santos Women’s Cup (Jo won round 2 and I was there to watch her race in round 3). At 30 years old Jo is fairly new to cycling. In her teenage years she did a little cycling but then turned to cross country running where she competed at state level in Queensland. When she returned to her native Victoria she took up cycling, joining St Kilda Cycling Club and has developed from there. Her goal this year is to make the Australian team for the World Championships in September which are being held in the hills of Tuscany, a course suited to Jo. Beyond that, she has her sights on a place in the next Commonwealth Games team in 2014 and the Olympic Games team in Rio in 2016. When she was 18 years old Jo was diagnosed with coeliac disease which means she cannot eat any gluten (a protein found in wheat, rye, barley and oats) so she needs to be careful of what she eats and this is doubly important because she’s a professional athlete. In fact she has a section on her website about a coeliac diet. Jo is also very focused on a holistic approach to wellness including her mental health, sleeping well, stretching and core work at the gym. This is reflected in her website content which outlines her typical week. Her overall aim with the website is to get more people involved in sport and to be healthy. She’s got a number of contributors lined up including chef Matt Wilkinson, a nutritionist and a personal trainer/yoga instructor. I’m looking forward to seeing the website flourish and for Jo to do well in her cycling career and beyond. Good luck Jo.